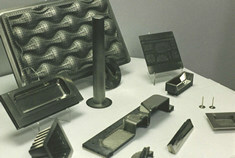 CVD Manufacturing Inc. - Manufacture of net shapes, parts, and tool inserts by the CVD process. 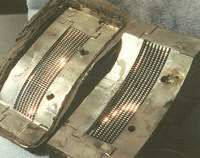 CVD Manufacturing Inc. designs, engineers and manufactures net shapes, near net shapes and nickel shells. We also manufacture inserts for printing plates, reflectors and other optical applications, along with moulding inserts for automotive parts, fixtures, medical instruments and other special applications using nickel and nickel alloys. A typical project involves deposition of nickel with a thickness of 0.5 mm (0.02") to 25 mm (1.000") onto an area ranging from a few cm2 to several m2. The substrate is usually provided by the client. The properties of the alloys deposited can be modified during deposition. For example, we can specify that the first deposition layer of nickel be extremely hard (up to 1100 VHN). 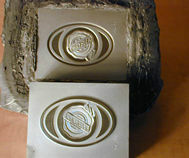 Then the hardness of the material can be reduced to that of normal nickel (200 VHN). One of the main advantages of such a process is the high resistance to wear on the initial surface layer without losing the high ductility of normal nickel. The low sulphur concentration in the deposited nickel and nickel alloys (less than 1 ppm) makes such parts suitable for application where welding is necessary. The high purity of the deposited metals is one of the advantages that makes this process the only one acceptable for nuclear applications.